Picture is one of the first Dutch heavy metal bands. 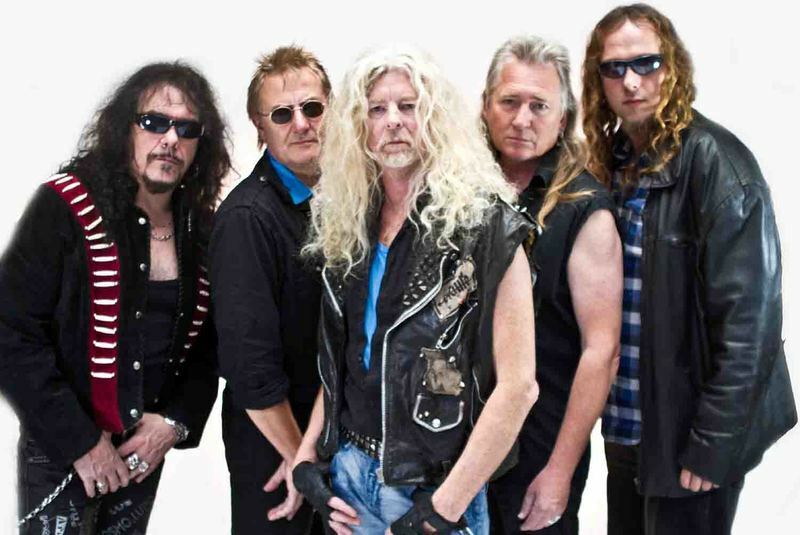 Formed in 1979, they were especially popular in the Netherlands, Germany and Italy for their live performances, and still have a fan base in South America, Mexico and Japan.Picture supported AC/DC, Ted Nugent and Saxon in the Netherlands. With Saxon, they did a full European tour in 1981. Later on they toured with Rose Tattoo in Germany and headlined tours in Italy and Israel.¨Rinus Vreugdenhil and Laurens Bakker originally got together in 1978 and started jamming with various musicians. It wasn’t until 1979 that the classic lineup of Vreugdenhil, Bakker, Jan Bechtum, and Ronald van Prooijen came together.Early on in Picture's career they were produced by Cat Music. They worked with manager Henk van Antwerpen and were signed to Warner Bros. Records. However, Picture felt their label were trying to steer them in a pop direction and quit the label to sign with Backdoor Records, a subsidiary of Phonogram Records.The original line-up recorded their debut album, Picture 1 and their second effort, Heavy Metal Ears in 1980 and 1981 respectively. To begin with, they gigged throughout the Netherlands and nearby Germany and built a following. In the meantime, they started composing their own music. Bechtum would usually come up with the riffs, then the other members would contribute their parts. After hashing and rehashing the songs, they became the titles that would appear on the first album, Picture I.As a bunch of young kids, they didn’t know much about the realities of recording. When the album came out, none of them liked the sound quality. As they grew in popularity, they returned to the studio to record Heavy Metal Ears and it was much of the same sound quality. It wasn’t until they were a little older and wiser that they really got their sound in the studio with Diamond Dreamer. However, by this time, Ronald had left for personal reasons and they found Israeli singer Shmoulik Avigal. Not only was the recording done much better, but Shmoulik had a different, and some[who?] say, more powerful voice. Many[who?] consider Diamond Dreamer as the band’s best album.After recording and touring with Shmoluik for the Diamond Dreamer album, he suggested they add a second guitarist to fatten their live sound and Chriz Van Jaarsveld was brought in. Though he was a technically proficient guitarist, he just didn’t gel with Bechtum and things went downhill. Then Shmoulik got in a petty argument with their manager and was fired from the band. About this time, Bechtum had had enough and quit for personal reasons. To fill in the gaps, a new singer, Pete Lovell, was recruited along with a second guitarist, Henry van Manen. They went into the studio to record Eternal Dark. This album was slicker than Diamond Dreamer and the two guitarists significantly altered the heavy sound of Jan Bechtum for a more technical groove that sort of worked, but started the trend for the final albums that veered away from the Picture sound. Around this time, Bakker could not take the rigors of touring or the stress of all their management troubles while supporting a wife and twins, so he left.From that point on, the only remaining original member was Vreugdenhil. He continued for three more albums: Traitor, Marathon, and Every Story Needs Another Picture. Many[who?] described them as going into hair metal, with very commercial and anonymous songs. Vreugdenhil was particularly disgusted with Every Story Needs Another Picture, as it was an album forced by the record contract, and it is rumored[by whom?] that the whole album was recorded by studio musicians with minimal[vague] participation from him.Though Vreugdenhil continued long after the other original members had left, he was never able to steer the band back into a successful direction. He finally called it a day, and got a "real" job.The original members tried a reunion in 1988 and the chemistry was still there.In 2007, the classic lineup reunited for rehearsals. They still had that spark, and planned to cut a CD in 2008 and play some gigs around the Netherlands and Germany. Though Ronald van Prooijen helped out, singer Shmoulik Avigal was asked to participate as well as Pete Lovell, the singer on the Eternal Dark album.After the smoke cleared[vague] in 2008, a permanent lineup was established with Bechtum, Vreugdenhil, Bakker, Rob vanEnkhuizen, and Lovell. They are currently[when?] playing throughout Europe to very enthusiastic[vague] crowds. A limited edition live album was recorded at various venues and was released by the band. Plans were to release another album in 2009 with new songs, two of which have appeared on the limited edition CD.The album Old Dogs, New Tricks was released on October 1, 2009, on the MarsMountains label. It contains 12 songs of all new material, released 30 years from when the band first formed.On December 18, 2009, Bechtum announced his departure from the band. He was replaced by Peter Bourbon.In early 2010, van Enkhuizen decided to leave Picture. His replacement is Gert Nijboer.In 2011, Nijboer was replaced by American Mike Ferguson.The lineup solidified with the two new guitarists and they began working on their new album which was released in spring 2012. Warhorse, written by all band members, brought Picture back into the limelight. They began touring again. Due to logistical problems, Peter Bourbon had to leave, but that spot was soon filled by another Dutch guitarist, Len Ruygrok. After a few months he decided to leave and former member Andre Wullems came back. The band continues to tour and solidify their reputation in the world of heavy rock and metal.On March 23, 2016, Pete Lovell announced by Facebook his departure from the band to form his new band Lovell's Blade. Also, Andre Wullems and Mike Ferguson will join the new band. But all the so-far-planned gigs of Picture in 2016 were to be respected and performed by Pete, Andre, Rinus, Laurens and Mike. Nearly a day later, Rinus and Laurens announced that Picture would continue with the original members of the first line-up ever.With Jan Bechtum and Ronald van Prooijen they start a classic line-up tour in 2017 and will celebrate the 40th year in existence in 2018! Guitarist Appie de Gelder is added as second guitarist to the line-up to make a richer live sound. They even play the famous Sweden Rock Festival in 2017 for the second time since 2008. After posting here some days ago some PICTURE remastered albums, some of you asked for the band's early material, remastered as well. 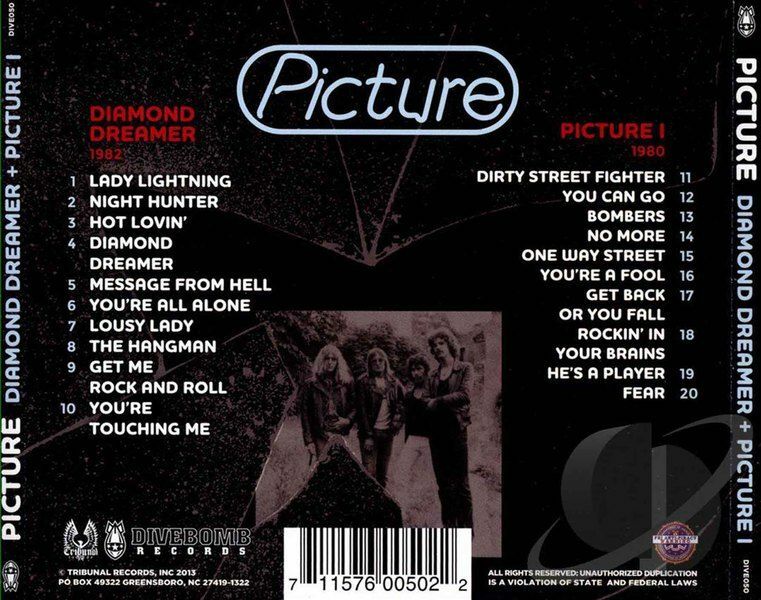 Here's the third and first Picture albums contained on one long playing CD: "Diamond Dreamer + Picture 1".Pioneers of the Dutch metal / hard rock scene, PICTURE's storied career dates all the way back to 1979. We already featured here the albums from the 'second era' of the band, when at the mid-Eighties morphed into a commercial Hard Rock / AOR act.But at the beginning they released 4 metallic albums with the classic Euro sound for the genre.This set features Picture's official debut "Picture 1" and their third, 1982's "Diamond Dreamer". Both albums have been long time out of print, now freshly digitally remastered, both seeing their first-ever North American release.After some singles, Picture debuted on LP with their self-titled "Picture". 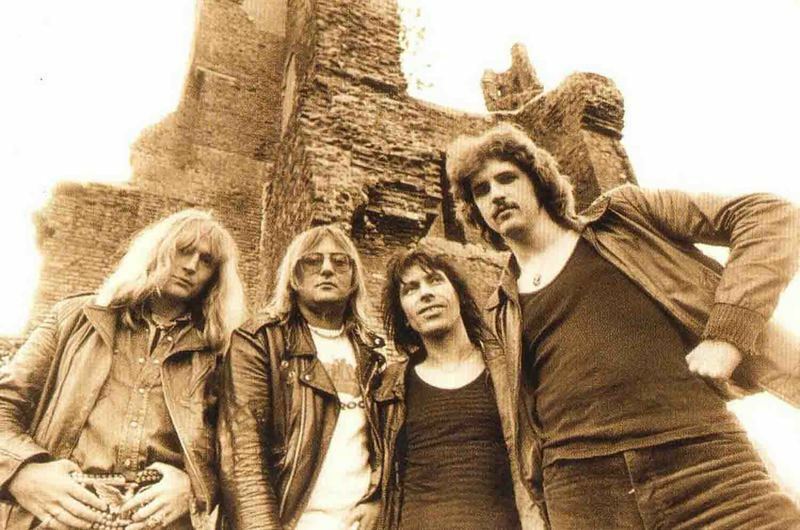 At its origins - the early '80s - the band blended the Seventies Hard Rock stylings with the glitters of the at the time rising Heavy Metal, some kind as part of the NWOBHM but done in The Netherlands. Picture were pioneers at their homeland. 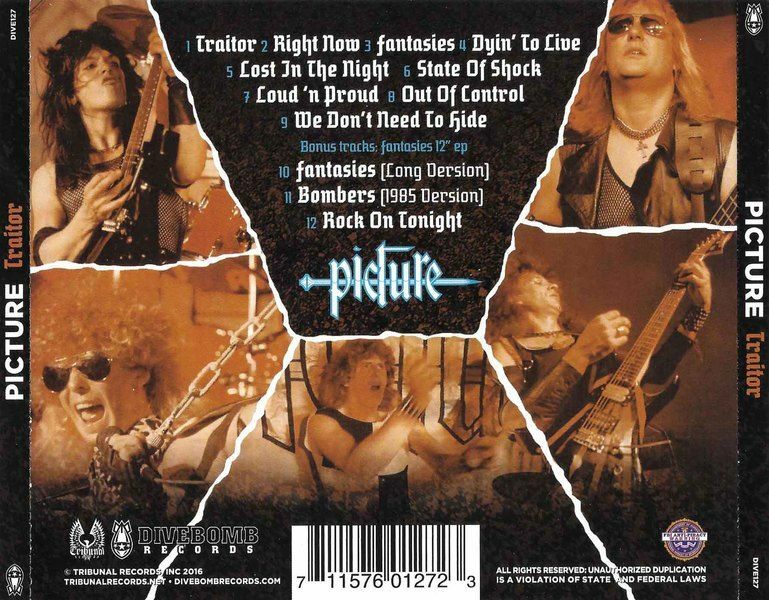 "Picture 1" is energetic melodic classic metal, now often called classic rock, or classic metal. The music is charged up with British-style vigor, recapping the sound of Judas Priest, Saxon and alike contemporaries.However, Picture style is not based on the twin guitar attack of the era. The riffs are spiced with hard rock groove, straight, simple and effective, but no less memorable.“Dirty Street Fighter” comes as a chopping Rock N’ Roll / Metal hymn, mid-tempo thumper sending that cool late '70s vibe, with a tight drum and bass work. 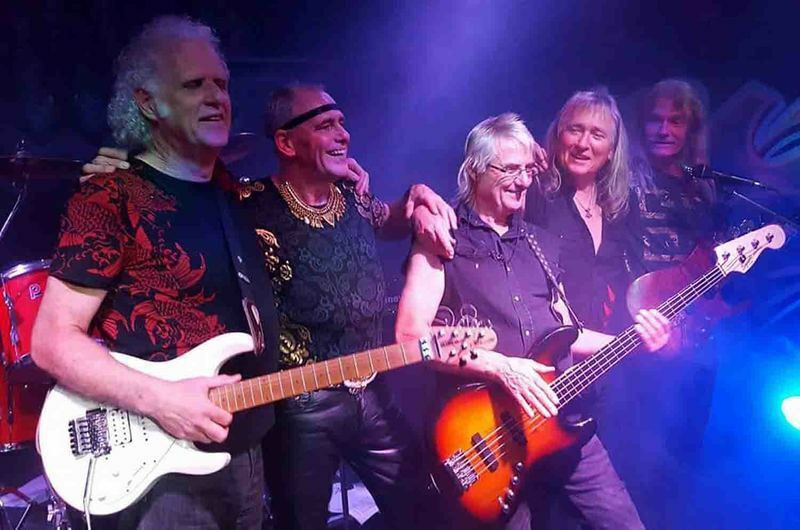 “No More” beckoned of classic Deep Purple, creating a funky vibe but on a heavier note, spiced with a great lead fretwork and smooth guitar driven atmosphere.“Bombers” runs on a tenacious and jumpy rhythm, producing a semi-speedster with a slow tempo passage screaming drama, capturing another great guitar work.The album was very well recorded, with multi-channeled vocal lines and clear rhythm section, all benefited by this crisp remaster.For "Diamond Dreamer", Picture changed vocalist, and by the time the band was musically closer to the classic hard rock of UFO, Scorpions, Michael Schenker Group, etc. with heavier moments akin Saxon. Not strange, as the album was produced by British Pete Hinton, who also worked with Byford & Co on 'Strong arm of the law' and 'Wheels of Steel'.While my favorite Picture album from the 'first era' is follower 'Eternal Dark', this "Diamond Dreamer" is a killer record as well. This is 'Hard n' Heavy' music with a classy Euro feeling. You still find here metallic numbers in “Message From Hell” and “You’re All Alone”, but for the most part Picture rocks here with a bluesy-based hard rock stamp.“Get Me Rock N’ Roll” is an '80s anthem, a call to arms, straightforward and catchy. “Lousy Lady”, couldn’t ask for a better Deep Purple / Whitesnake appetizer. Title track “Diamond Dreamer” is inspired with its fluency, tasty riffs and vocal delivery, while “You're Touching Me” lefts its mark as the emotive balladry.New vocalist Shmoulik Avigal does a very good work with his spiraling and powerful tone of voice, like crossroads of Coverdale meets Dio, a shimmering classic rock frontman, Furthermore, Picture's rhythm section mustered its rigidity further offering well-tuned drum and bass. "Diamond Dreamer + Picture 1" delivers solid classic hard n' heavy stuff, from a talented band that deserved more exposure. Riff-driven rockers, with big vocals and pounding beats; all old-school classy stuff, well done and entertaining. After the previous PICTURE remastered albums featured here, many of you asked for the band's other '80s records, remastered as well. 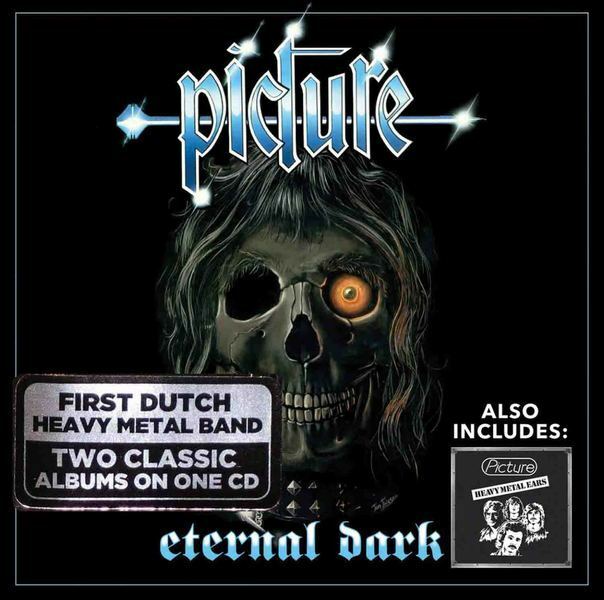 Here's the fourth and second Picture albums contained on one long playing CD: "Eternal Dark + Heavy Metal Ears [Digitally Remastered]".Pioneers of the Dutch metal / hard rock scene, PICTURE's storied career dates all the way back to 1979. 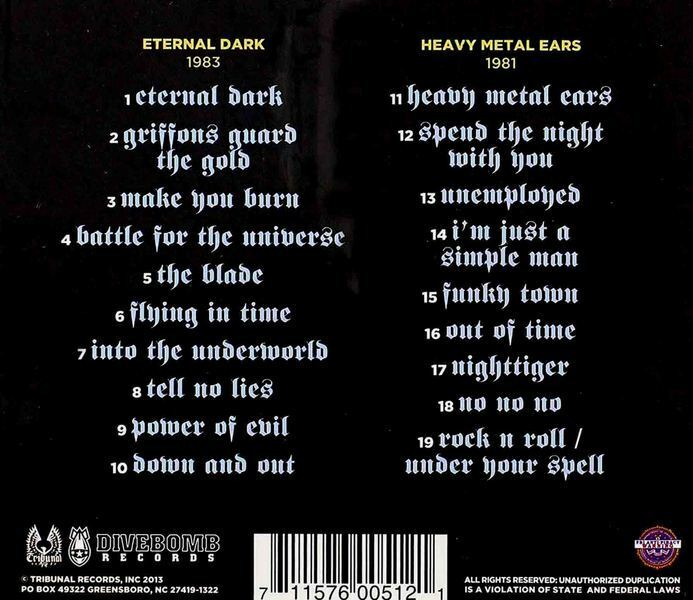 We already featured here the albums from the 'second era' of the band, when at the mid-Eighties morphed into a commercial Hard Rock / AOR act.But at the beginning they released 4 metallic albums with the classic Euro sound for the genre.This set features Picture's second, greatly titled LP "Heavy Metal Ears", and their 4th, 1983's "Eternal Dark", the album that put Picture in the international scene.Both albums have been long time out of print, now freshly digitally remastered, both seeing their first-ever North American CD release. 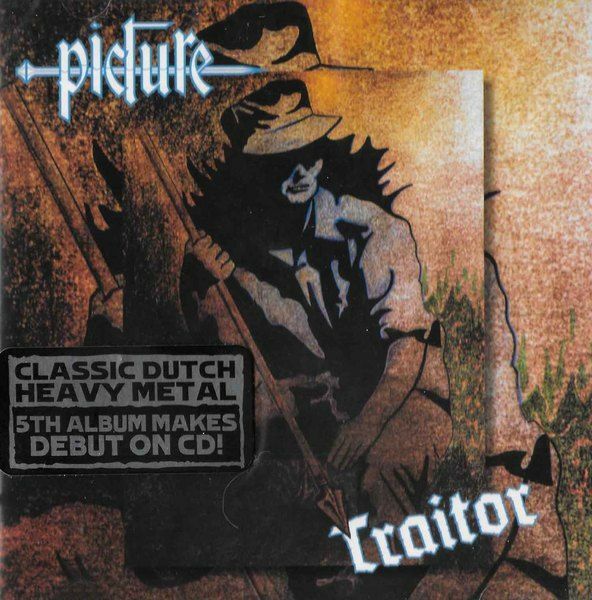 More remastered stuff from Dutch metal / hard rockers PICTURE, this time with the Deluxe Edition of their pivotal record "Traitor", for the first time on CD plus 3 bonus tracks.Released in 1985, "Traitor" mark a turning point in Picture's career, adding to their previous Euro metal riff toms of commercial melodies and a catchy hard rock groove.Originally issued on LP and cassette in 1985, "Traitor" was Picture's second — and, at the time, final — album with English frontman Pete Lovell.This period signaled a shift towards a slightly more commercial hard rock direction, under pressure from a record label hoping to mirror the massive success of American acts. But make no mistake: 'Traitor' remain packed with hard-hitting traditional metal riffs and absolutely anthemic choruses — a logical next step on the heels of the band's 1983 Eternal Dark.So what does the album actually sound like? The production is of course Mid-80s sounding with that ”snare” drum sound that everyone was looking for after Def Leppard released Pyromania.The disc opens with title track ”Traitor” which is an uptempo rocker with a nice drumbeat driving the song forward. It is a classic classic metal tune with hard rock pulse and sets the pace for the rest of the album. ”Why do you question the rules set by your king” Lovell shouts out loud. No commercial hints here at all.It is followed by maybe the strongest song on the album called ”Right Now”. This tune is a midtempo heavy rocker with a great guitar riff, a heavy thumping bass groove, and a cool hook. Definitely one of my favorite cuts on the album and should be a staple at live shows. The gang vocals are all in there as well, very Americanized.With the song ”Fantasies” you can hear those poppy choruses and a songwriting trying to make a hit song. It is also the first single off the album, with a commercial, radio ready approach.But ”Dyin’ to Live” rocks again with a contagious hook. Lovell‘s vocals on this song are 'shout it loud', very '80s. We go on with ”Lost in the Night” and now we put the pedal to the metal and this is the fastest song on the album with British first half of the Eighties sound.”State of Shock” kicks off with a heavy riff from Van Jaarsveld and Van Manen: twin guitar attack. It's classic jhard / melodic metal with an infectious and memorable hook that tends to stay in your mind for a while. During the stick in the middle of the song with are treated with a real guitar duel. "Loud n' Proud” is quite catchy as well in its midtempo pace, same with ”Out of Control” another ”Picture style” rocker with a screaming vocal chorus line from Lovell. It is another one of these feel-good rockers that Picture are so good at.The album closes with the fantastic semi-ballad ”We Don’t Need to Hide” which together with ”Right Now” and ”State of Shock” are my favorite cuts on Traitor. Lovell‘s vocals really shine on this song where he uses another part of his vocal range.As a bonus, on this remastered reissue we get the rare ”Fantasies” EP with three additional songs.The first two are ”Fantasies” (long version) and a new recording of the classic Picture track ”Bombers” which originally appeared on the debut album way back in 1980.But the real gem in this package is song number 3. It’s a hooky riff monster called ”Rock on Tonight” which has not been released anywhere else. In hindsight, this should, of course, have been included on the album. This is a great song and goes into my favorite tracks here. "Traitor" packs music for all audiences: is a great album with plenty of heavy riffing, soaring guitars, double bass drumming and the screaming vocals of Pete Lovell, but also melodic hard rockers with an Euro feel and some 'Americanized' radio target.Anyway, this is definitely an '80s metal album (now called classic rock by many) and a little variation on a couple of the songs only enhances the overall impression. "Traitor" is one of the stronger albums in Picture's discography. It is beyond my comprehension why this album has not been released on CD until now. Cult band, recognized as one of pioneers of the Dutch metal / hard rock scene, PICTURE's storied career dates all the way back to 1979. They released 4 metallic albums in the first half of the '80s, but in the second, Picture morphed into a commercial Hard Rock / AOR band. 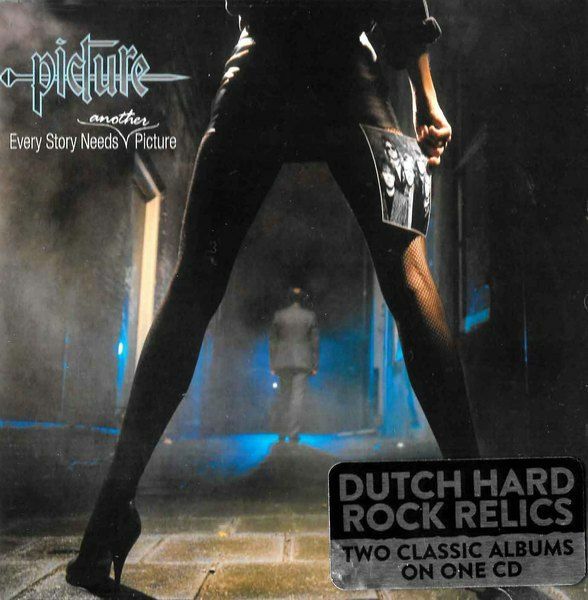 "Every Story Needs Another Picture (1986)" and "Marathon (1987)" both have been remastered and released into one CD by Divebomb Records.While establishing a strong suited classic metal front up till the middle of the 80s as a leading Dutch act, things got rattled a bit for Picture with the approach of 1986.When the business got into the band’s music, the Picture line-up had a fall down, leaving founding member and bass player Rinus Vreugdenhill on his own.The recruitment of three new members, which one of them was the excellent vocalist Bert Heerink (ex- Vanderberg) paved the road for two albums that virtually transformed Picture into a Hard Rock / AOR band, commercial and largely into the mainstream sound of the period.1986’s 'Every Story Needs Another Picture' was the first release from the new Picture line-up, not far from what bands like Vandenberg, Bronz or even Europe were doing at the time; commercial hard rock with melody and keyboards into the mix, elevated by Heerink’s distinctive vocals.“Battlecruiser”, which I found to be the album’s prime tune, sounded like a determined forge of high quality Euro Hard Rock with a cracking AOR chorus to make it flamboyant.The extra crispy fire catching “Moving Down The Line” is another scorcher, a really fun track to listen to with a great 80s feel. “She Was Made For Lovin'” delivers a catchy American influence, and lastly the strong “No Way Back” that reminds me of early Autograph complete with cowbell.Picture gave it another go in 1987 with "Marathon", which was a continuation of the 'Every Story Needs Another Picture' sound, even more AOR.Heerink sounds even better here, and the songwriting and arragements are definitely oriented to that late ’80s radio formula - namely catchier hooks, plenty of keyboards / synths and more memorable choruses.The magnitude of the keyboards is much noticeable throughout the tracklist, portraying Ronald de Grauw (later in melodic rockers Perfect Strangers) talent.“Break Away” burst as a terrific opener, crunchy AOR song, immensely catchy and energetic, a proper way to open things up. “We Just Can't Lose” - a highlight - delivers a mighty chorus aside a Hard Rocking vibe that entangled well with the sensational keyboards.“I'm On My Way” and “S.O.S” display once more Picture’s taking points from American Hard Rock / AOR songwriting style, showcasing simple, but pleasing to the ears rhythm guitaring, and of course a larger than life vocals / harmonies.This is a really welcomed 2-in-1 reissue featuring both albums, newly remastered by Jamie King at The Basement Recording, and bolstered by band-supplied archival materials of rare photos, expanded liner notes and complete lyrics booklet.Very good stuff in the vein of Vandenverg, Zinatra, Bronz, Treat... you get the 'picture'.